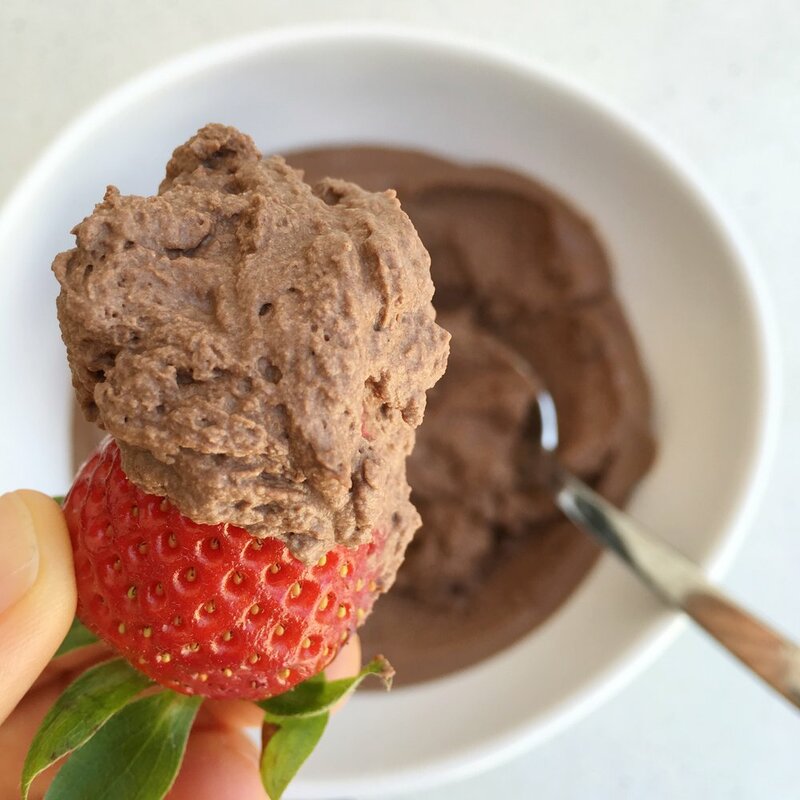 I used to loooove chocolate mousse, but after going dairy free it was difficult to find a recipe could stand up to original. So recently I decided to make my own using just four ingredients and I absolutely love it! It's dairy free, refined sugar free, paleo, low FODMAP and vegan friendly and very simple to make, you just need an electric beater. 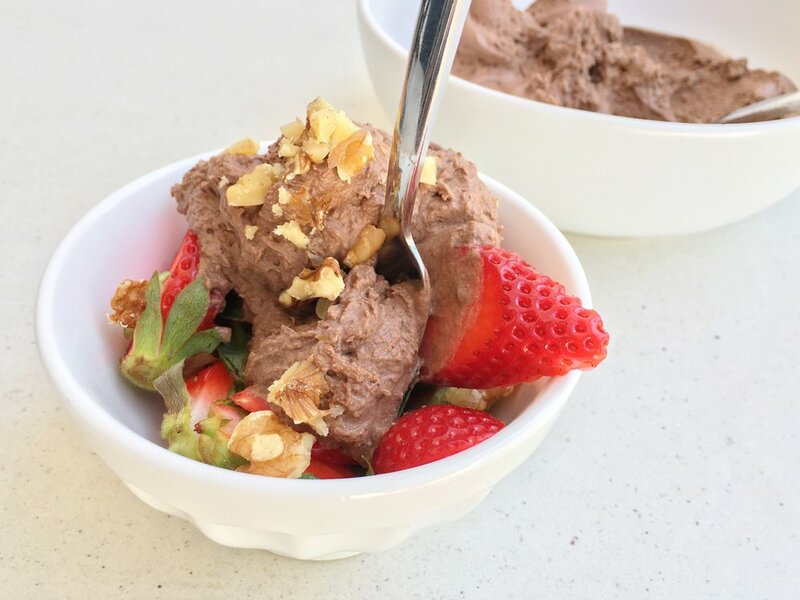 The addition of cacao and maple syrup masks the coconut flavour so it will taste more like traditional chocolate mousse. It is very easy to overeat, so just remember it is made from pure coconut cream (fat) and maple syrup (sugar) and go easy on the servings! Prep and cooking time 12 min prep, 8 hours fridge , Serves 4-6. If you are lucky enough to have an Aldi nearby their coconut milk is super cheap (about 95 cents!) and the quality is good. 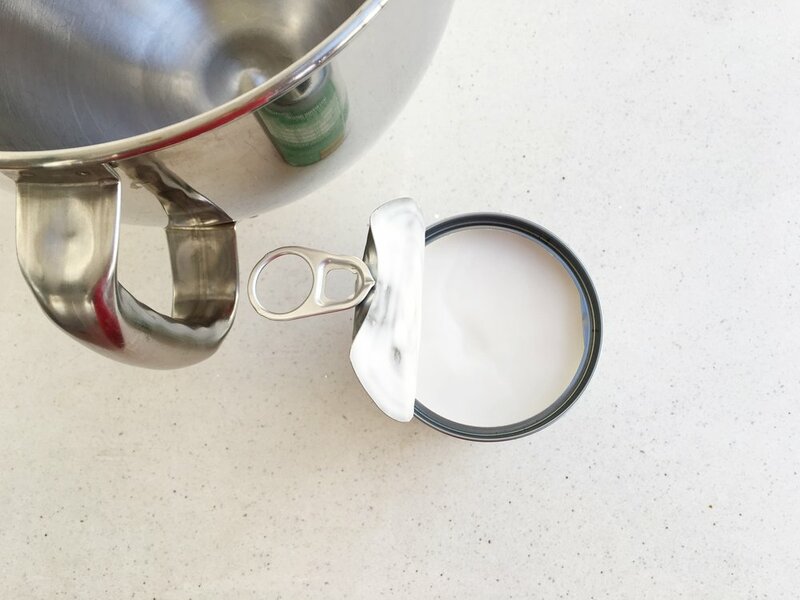 Often you will see recipes that call for a can of coconut milk to be left in the fridge upside down overnight to separate the coconut portion from the water portion, but I find that with this brand I don't have to do that. 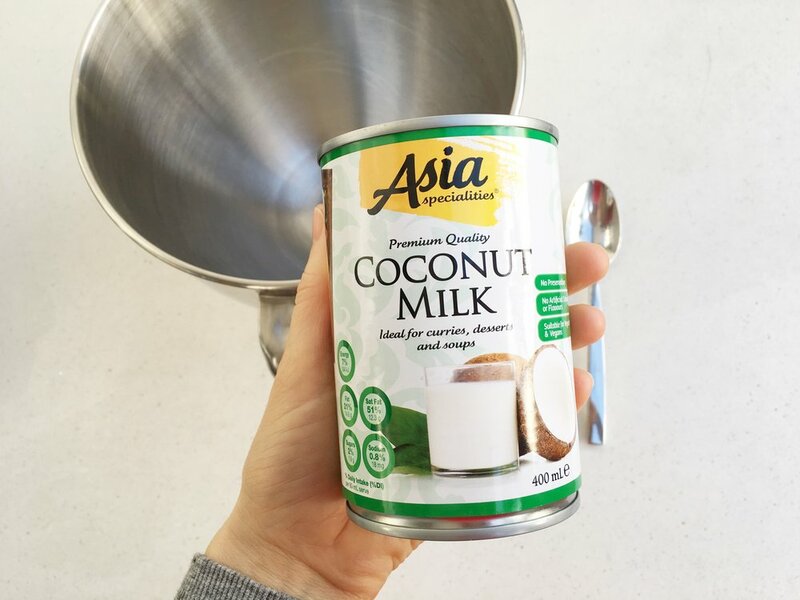 Just open the can and scoop out the coconut into a mixing bowl until you hit the liquid. You can discard the water. Then beat the coconut cream with electric beaters or a stand mixer on high for about 5 minutes. Add the cacao, maple syrup and vanilla extract and beat again for about 5 minutes. At this stage it will be smooth and thick but will firm up further in the fridge. Transfer this to a smaller bowl and place it in the fridge for about 4 hours. Once it has chilled, serve with your favourite fruit, add it to a chia pudding, or enjoy on its own, just be careful not to eat the whole bowl at once!